These are among this year’s nine recipients of the Ovation Award, given by the Acuff Circle of Excellence to recognize outstanding contributions to the arts in the Clarksville-Montgomery County community. The annual awards ceremony will from 2:00pm to 3:30pm on Sunday, March 5th, at the Customs House Museum and Cultural Center. The public is invited to attend the free ceremony and the reception that follows. 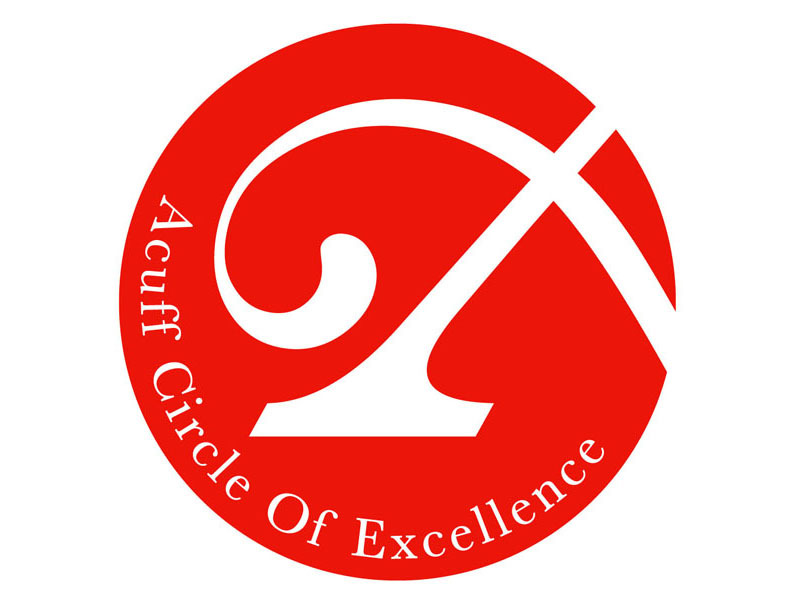 The Acuff Circle of Excellence, a non-profit organization affiliated with the Austin Peay Foundation, serves as the patron society of the APSU Center of Excellence for the Creative Arts. Its purpose is to advance the importance of the arts and culture at Austin Peay and in the community. Those being recognized were chosen from nominations submitted by the public. There were a significant number of nominations in every category this year. Receiving the prestigious George Mabry Ovation Award is F. Evans Harvill, a lawyer whose excellence in philanthropy to Austin Peay and to the arts, is widely known. His late father, Halbert Harvill, was president of Austin Peay, and Evans is an alumnus of the school. In 2012, Harvill helped launch the Mabry Concert Hall project, which raised more than $500,000 for APSU fine arts and named the Music/Mass Communication Building Concert Hall for long-time APSU music professors Drs. George and Sharon Mabry. During APSU’s 75th anniversary year, he commissioned an art student to create a two-tiered view of Austin Peay depicting changes to the campus since 1949. Paintings of many of the historic buildings on the campus were done by his late wife, Peg, and limited edition prints of these were used by Austin Peay as appreciation gifts to major donors. Harvill also has established several endowed scholarships in the arts, including designating two this year in the Center of Excellence for the Creative Arts. His wife, Sherri, is a former board member of the Acuff Circle. Hand Family Companies is receiving the Ovation Business Award for its major community support through donations of money, merchandise and labor. The family’s support of the arts in Clarksville grows out of their commitment to make Clarksville a better place to live, work and play. For more than 10 years, when the Nashville Ballet came to Clarksville to perform, the Hands arranged for the dancers to stay at the family’s Riverview Inn hotel at no cost to the ballet. For the last three years, the family has supported Jammin’ in the Alley, a musical festival on Strawberry Alley that attracts large numbers of people downtown, and supported the Downtown Artist Cooperative, First Thursday Artwalk, and the Roxy Regional Theatre. Additional contributions have been to the completion of the Wilma Rudolph statue and the forthcoming Frank Sutton statue, and to Customs House Museum and Cultural Center through support of Flying High. They are also one of the major sponsors of Gateway Chamber Orchestra. Hand Family Companies have been primary sponsors of the Arts and Heritage Development Council’s annual 2Rivers Plein Air Paint-Out for the last three years. Beverly Riggins Parker is being honored as the Individual Artist. Her contributions to the arts begin with her being an exceptional photographer, whose works are eagerly sought by collectors. While photography is her primary medium, she also is an accomplished oil painter. Certainly promoting art and developing local artists is one of her passions, but her contributions extend far beyond her own artistry. She is a founding member of both the Downtown Artists Co-op and Friends of Photography and works tirelessly on behalf of both organizations. She also has taught continuing education classes and workshops in photography. For 20 years, she has chaired the highly-regarded Riverfest Tour d’Art juried art exposition. Hilldale Civitan Club, winner of the Community Ovation Award, is the sponsor of The State of Tennessee’s Old Time Fiddlers’ Championship. The championship has been held in Clarksville since it was conceived in 1973 by Dr. Steven Davis, an Austin Peay professor. He was motivated by the fear that someday, this particular southern musical heritage would become extinct. Throughout its development, the championship has provided a musical feast for Tennessee and surrounding states. Realizing the importance of the event, Gov. Lamar Alexander proclaimed the contest held each year to be the state’s official fiddlers’ championship. Whoever wins the championship at this event automatically goes to the Grand Master Nationals. Hilldale Civitan assumed responsibility for the event in 2008 and since then has given more than $60,000 to non-profit organizations in Clarksville. While guests are at the event, they can take part in free music classes from world champion Dobro player Johnny Bellar and fiddle lessons from Byron Dumas. Winners in the Young Artist category, all seniors, are Addisyn Bryant, Clarksville High, theatre arts; Bianca Moore, Northwest High, vocal performance; Alana Clayton, Rossview High, instrumental performance; Abbey Hogan, Clarksville Academy, creative writing; and Aaron Smith, Clarksville High, dance performance. Bianca Moore’s “natural intellectual and musical talents are on par with any vocalist I have known, but her grit and determination are what set her apart from other talented students” said her teacher Anna Caldwell. Bianca’s talents have been recognized through her acceptance into the Governor’s School for the Arts, two-time selection for Mid-State Choir, selection for All-State Choir, and within Murray State University’s 250-voice Quad State Choir, was one of two students chosen to sing a duet on the program. Alana Clayton “is an exceptional horn player, advanced for her age on all counts,” said Dr. Kristen Sienkiewicz, assistant professor of music at Austin Peay, who, along with Dr. Fred Sienkiewicz, director of the Madison Street Brass Ensemble, nominated Alana. Alana’s competitive auditions have led to performances with ensembles such as the Curb Youth Symphony, the Nashville Summer Orchestral Institute at the Blair School of Music and various regional honor bands and orchestras. As a junior, she won principal chair in the Tennessee All-State Orchestra, an honor that placed her at the top of 11th and 12th grade horn players across the state. In the summer of 2016, she received a full scholarships to attend the Tennessee Governor’s School for the Arts. Dr. Rebecca Beach of Clarksville Academy, said in her 10 years of teaching college English, she’s met few students with Abbey Hogan’s “sharp acumen, kind heart, and diligent work ethic. Aaron Smith began training as a dancer at the age of 10. Throughout the years he has continued to take lessons and dance competitively with Clarksville’s Dance Force. He has been privileged to study under some of the most noted choreographers in the industry and recently auditioned for the traveling cast of the Broadway musical Newsies, receiving a “call back” for his efforts. Additionally he received enthusiastic accolades as lead dancer in the Found Movement Group of Nashville.